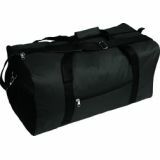 All Sport Personal Equipment Bag, Large, 29"Lx13"
The All Sport Personal Equipment Bag is designed for every day use. 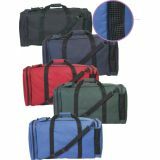 Made of heavy-duty polyester, this waterproof polyurethane lined bag features a double zippered main compartment, and ventilated mesh end pockets for wet items. 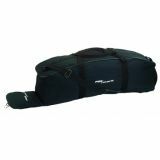 All Sport Personal Equipment Bag, Medium, 25"x11"
All Sport Personal Equipment Bag, Small, 20"x12"
The All Sport Personal Equipment Bag is the perfect bag for every day use! 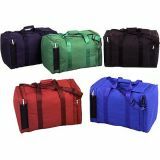 Made of heavy-duty polyester, this waterproof polyurethane lined bag features a double zippered main compartment, and ventilated mesh end pockets for wet items. 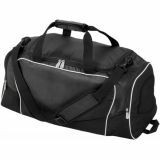 The Champion Sports Deluxe Team Equipment Bag, made of heavy-duty vinyl, offers plenty of room to store all of your gear. 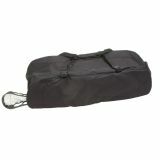 wraparound handles with a Velcro closure connect the straps for easy and convenient transport. 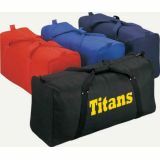 Football Equipment Bag is made of 600 Denier polyester lined with polyurethane, and features a large compartment to hold all of your equipment. 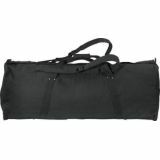 Individual pockets are included for personal possessions. 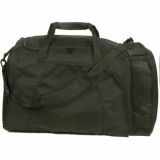 Two bags are included for your helmet & laundry. 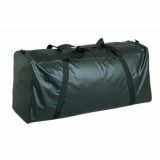 This heavy-duty nylon bag boasts a huge main compartment and a full-length stick compartment, with a waterproof bottom and adjustable shoulder strap. 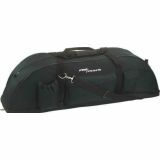 Easy to personalize with a detachable side pocket for easy embroidery or screen-printing.